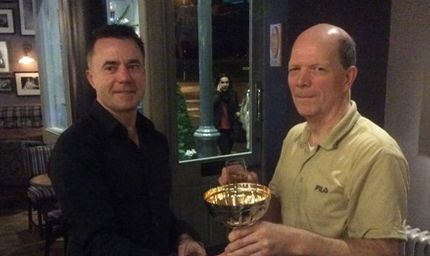 Mark Dixon defeats Wayne Felton to win the 2018 London League Cup and qualify for the 2019 UK Champions League. A very happy Dicky Biddle (right) celebrates his 2017 League Cup Final win over a very sporting Eric McAlpine. Please note that these files need to be unzipped first. Once unzipped, click on the file called index. This will allow you to view the match in your browser. The zip files also include the match files in XG, TXT & MAT format. 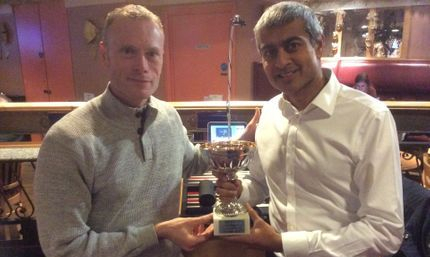 Winner Eric Maillebiau (left) receives the London Players' League Cup in 2015 from the shell-shocked losing finalist Chris Purchase after a 25-0 victory. 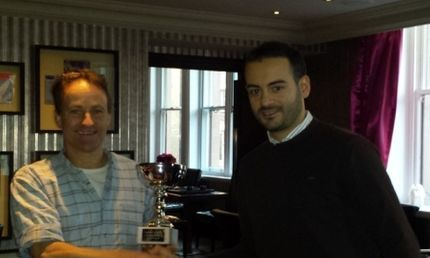 Losing Finalist Antonio Sgambato (right) awards the London Players' League Cup to Ken Gibson. 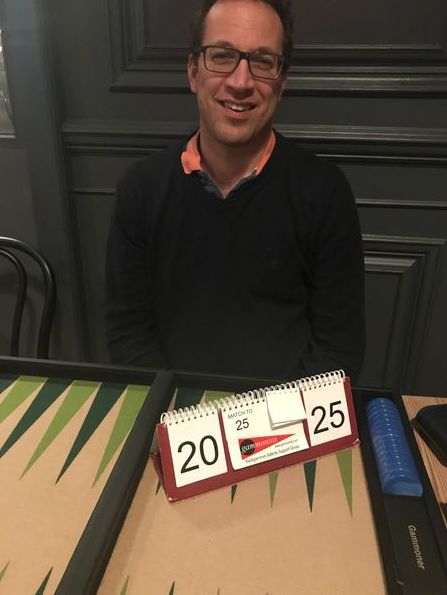 Match recorded & streamed live by Sean Williams. Match transcribed by Antonio Sgambato. With thanks to both. Match files and PR scores for private viewing only. 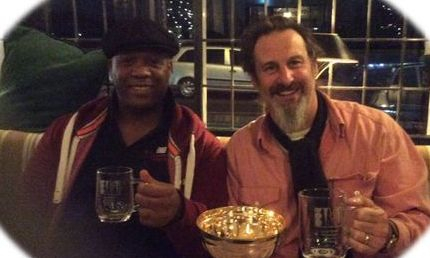 Permission must be sought from London Players League if used in the public domain.